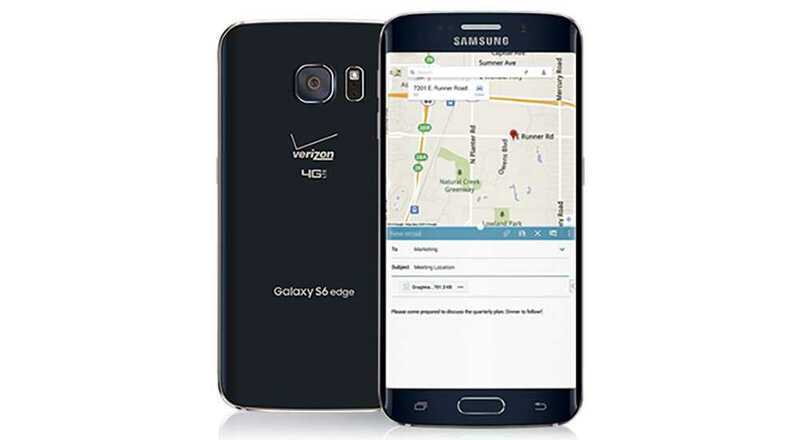 Mobile networking company, Verizon, has recently rolled out a new update for the S6 and S6 Edge from Samsung Galaxy. The update has been aimed at fixing some bug in the software of the devices. The bug was reportedly triggering a factory data reset on the devices unintentionally. The new update for the S6 and the S6 Edge brought by Verizon for the devices in its network brings the software to MMB29K.G920VVRU4CPF2 version in case of the S6. In case of the S6 Edge the version has been bumped to MMB29K.G925VVRU4CPF2. Verizon as a solution has offered the update to a bug in the software. The bug was creating the problem of unintentionally triggering an FDR or Factory Data Reset, when there were several failed attempts of using fingerprints for unlocking the phone. After the new update is installed on the S6 and the S6 Edge, it will trigger an FDR only after 15 attempts at unlocking the device have failed. Post update, the user will have to make ten attempts with fingerprints and five attempts with the PIN or the password, after which the device FDR will be triggered. The bug was a serious one and the update has come at the right time to solve the problem. The S6 and the S6 Edge from Samsung are top devices available in the market today. However, they are not perfect. Users have to meet several problems, such as the bug that was triggering a factory data reset unintentionally. Every mobile phone that comes into the market has its own set of bugs and problems. Verizon has made a timely attempt to solve this bug with the latest update. A factory reset can wipe out all the data on the user’s phone. The software on the S6 and the S6 Edge has been designed for allowing ten attempts at unlocking the phone with fingerprints. However, when the attempts fail, the device prompts the user r to enter his or her passcode or the password instead of the fingerprints. In case of the S6 and the S6 Edge devices on the Verizon network, the prompt failed to appear. The device would, instead, initiate a factory resetting of the data by itself. This resulted in many users losing their personal data. It is recommended to all users of the S6 and the e S6 Edge that they install the latest update from Verizon as soon as possible. The fingerprint scanners of Samsung devices have been enhanced to a great extent, especially in case of the new phones released recently. However, it is not rare when the devices decide that they no longer like your fingerprint. Those who have received notifications from Verizon can update their devices and install the new big fixing software immediately. However, you can also manually go and check out the Settings and search for the update in the Software Update part.